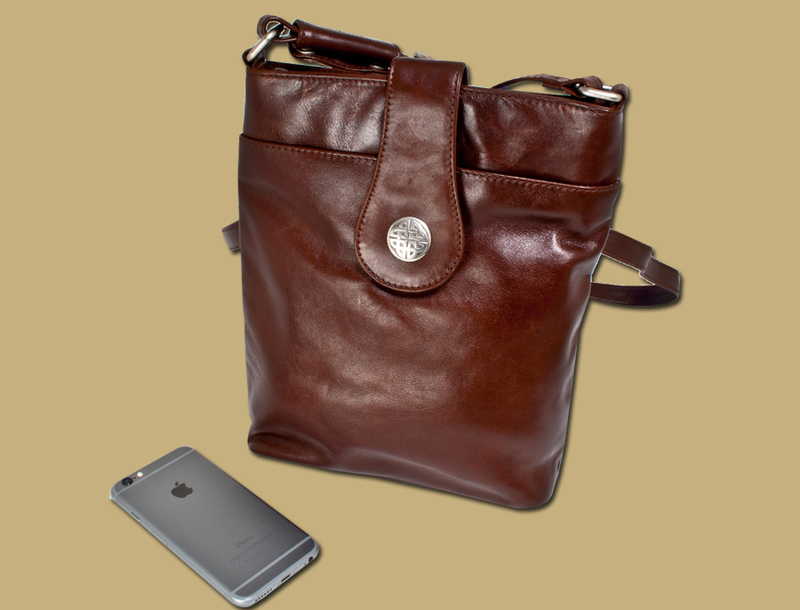 Stylish and Distinctive Ladies Leather Bag Comes in an Oiled, Rich Leather. 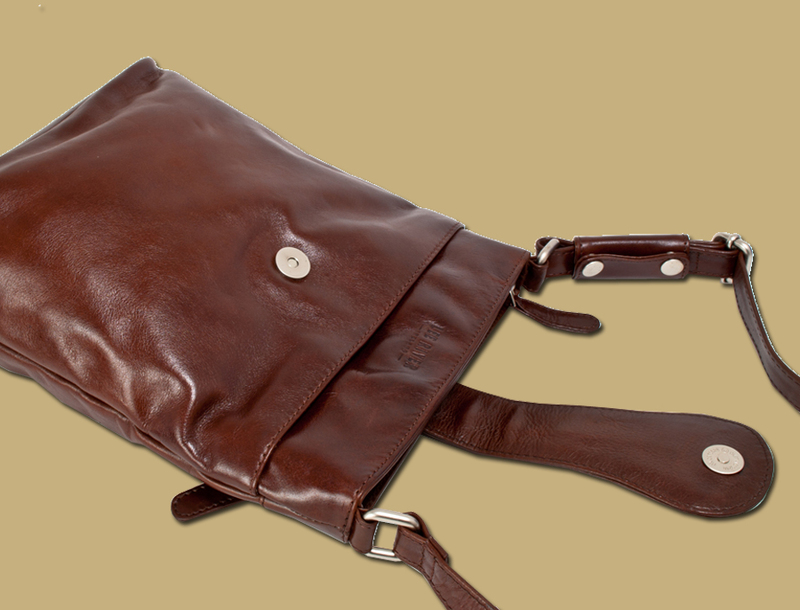 Gets Better With Age, Absorbs The Everyday to Build a Beautiful Patina Over Time. 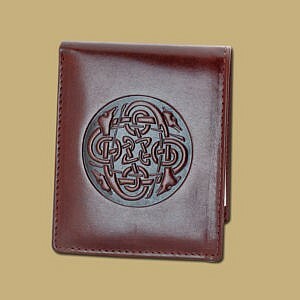 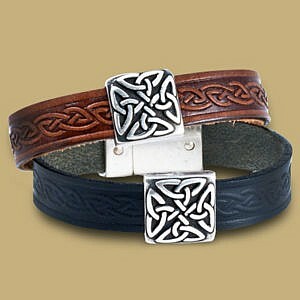 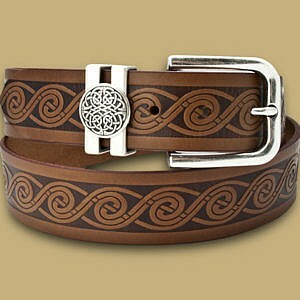 Features a Silver Celtic Knot Clasp, multiple pockets. 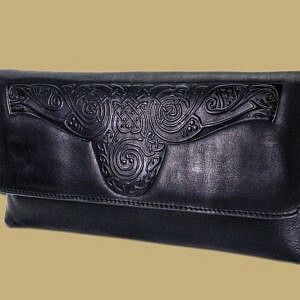 Easy access outside pocket and inside zip pocket. 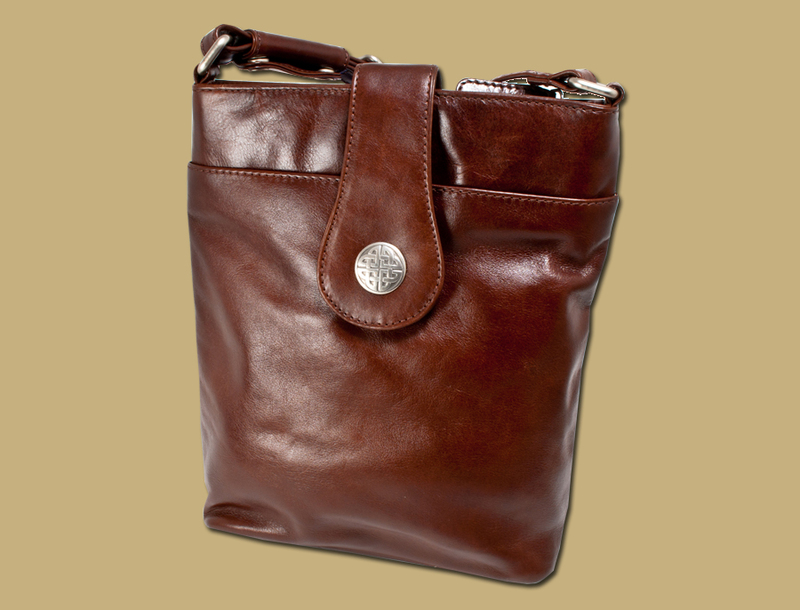 Big enough to hold all your everyday carry items.